Mail entries must be postmarked no later than Saturday 5/27/2017. Please mail entries to 2812 W. Colorado, Suite 200 Colorado Springs, CO 80906.Make check payable to: usa racquetball. Phone entries will be accepted through Friday 6/9/2017 no later than 4:00 PM by calling 719-499-9561. Late online entries will be accepted up until Friday 6/9/2017 by 4:00 PM (Central Time) for an additional fee of: $20 . Please check start times online. Start times for first round match(s) will be available after 2:00 PM Thursday 6/15/2017. Call 719-499-9561 if you don't have internet access. Play starts at 10:00 AM on Wednesday 6/21/2017. Players must meet the proper age requirement as of January 1, 2017. Only U.S. citizens are eligible to participate. All players should be prepared to begin play on Wednesday, June 21st at noon. Players should expect to play each day. Matches should be completed by 4pm on June 25th. Please plan your travel accordingly. Seeds will be made available June 9th by 3pm CT. 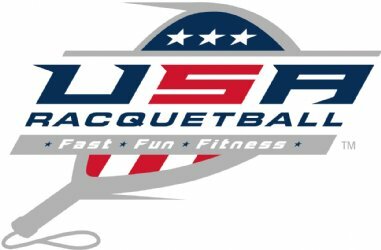 Written seeding protest must be made by June 11th 3pm CT, sent via email to the Tournament Director- Championships@usaracquetball.com. For more information, see printed entry form. Click here for printable entry form also referred to as a Players Guide.